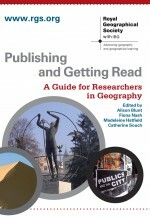 The latest issue of Geography Compass is available on Wiley Online Library. Click past the break for a full list of articles in this issue. This entry was posted in Content Alert, Geography Compass and tagged Alistair Fraser, Antiviolence, Cultural Economies, economic, Electronic Dance Music, Gender, Geography Compass, immigration, Jenna M. Loyd, Lorraine Dowler, Militarization, Northeast United States, peace, political, politics, railroads, Richard G. Healey, Social, sovereignty, Spaces on August 29, 2012 by anonuser. This entry was posted in Content Alert, Geography Compass and tagged Amanda Rogers, Bethan Evans, Cities, Community Transitions, Critical Urban Geographies, Cultural, Environment & Society, Geography Compass, Gerald Aiken, Jon Coaffee, Lael Parrott, Landscapes, Lee Crookes, Low Carbon Futures, Network Theory, obesity, Performing Arts, Places, political, Rodolphe Gonzalès, Social–Ecological Systems, sustainability, Transition Towns Network, TTN, Urban on February 9, 2012 by anonuser. This entry was posted in Content Alert, Geography Compass and tagged Adam D. Dixon, economic, economics, editorial, Elizabeth Nyman, Erica Kohl-Arenas, finance, geography, international law, John Kupfer, Julie A. Silva, Mark Jayne, Mayors, Michael Bradshaw, modern piracy, morality, Pedro Marques, political, Poverty, private philanthropy, urban governance on November 8, 2011 by anonuser. This entry was posted in Content Alert, Geography Compass and tagged Andrew G. Fountain, Arilson Favareto, Atmosphere & Biosphere, carbon, Causal Nexus, conflict, Content Alert, David Martin, Development, Diane M. McKnight, Forest-Tundra Ecotones, Geographies, Geography Compass, Geomorphology & Hydrology, GIS and Earth Observations, governance, Michael N. Gooseff, Nitrogen, Nitrogen Cycling, Northern Ireland, Peter Doran, Peter Shirlow, political, population, Post-Conflict, Ryan K. Danby, Sarah McDowell, Snow-Covered Environments, Vera Schattan P. Coelho, W. Berry Lyons on September 16, 2011 by anonuser. In a recent article for BBC News MiddleEast, Jon Donnison reports on the Palestinian women who hand-sew Jewish kippot to be sold in the markets of Jerusalem. Kippot are the small white skull-caps worn by Jewish men to remind them of God’s presence above. The irony that these highly religious items, symbolic of Judaism are made by Palestinian women across the heavily fortified borders of Israel is not lost in this article. However, the news story does illustrate the prioritising of livelihoods over religiosity and the political lens through which the outside world views all things middle-eastern. This example of activity in the informal economy (Roberts 2009;10) is a strategy of survival of livelihoods through some of the most intolerable and harsh economic and social conditions on the face of the earth. The women in the photo above are representative of the highly gendered nature of the informal sector where women and children constitute by far the largest proportion of workers. There are many reasons for this such as withdrawal of education from an early age, lack of access to skills training especially where mechanisation takes place in for example agriculture, and domestic responsibilities. There has been much work in geography to date on the informal sector especially in the developing world (Lloyd-Evans 2008:1893, Potter et al 2004: 405). However, what is interesting here is the cross-border collaboration that occurs in the face of such a polarised and politically charged region; the women’s hands working and trading through difference and yet unravelling seemingly insurmountable division with every stitch. This entry was posted in Geography Compass and tagged Cultural Geography, Development, Economic Geography, Environment and Society, Global Issues, informal economy, livelihoods, middle east, Palestine, political, Political Geography, religion, Social Geography, Urban Geography on October 16, 2010 by michellesushikalabrooks.